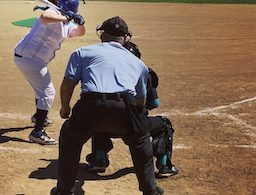 SAN DIEGO – The Grossmont Griffins spotted San Diego Mesa College four runs in the first inning, but no lead is safe against the explosive Griffs, who bounded back for a 7-4 Pacific Coast Athletic Conference win on Friday. Grossmont swept the three games from Mesa this week to keeps its tight hold of first place in the conference over pace-challenging Palomar. For all the success the Griffs have had over the past five weeks, Grossmont still trailed early in all three games against the Olympians. The Griffins’ TREVOR BEARD doubled down the right field line for the eventual go-ahead runs in the top of the eighth inning to make it 6-4 and complete the comeback. 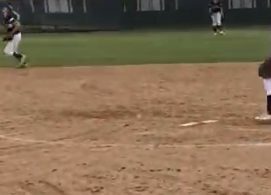 Grossmont’s JUSTIN BURKEY went 3-for-4 with two runs scored, while ROBERT BOSTEDT had a pair of hits for the Griffins, giving them their own set of killer B’s on this afternoon. 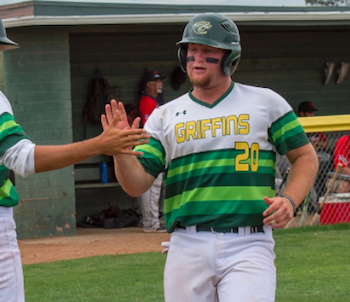 After Griffs’ starter DONAVON MCCRYSTAL (6-1) was touched up by Mesa for the early lead, the Griffins got a run in the third on a single by REECE HERNANDEZ, which scored Beard. 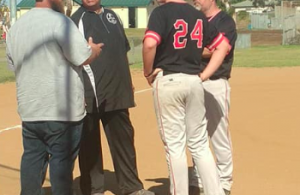 Grossmont added two in the sixth on a sacrifice fly by ERIC DE LA ROSA, which brought home Bostedt, and a RBI single from MICHAEL DIFFLEY that plated Burkey. JAVIER DE LA TORRE earned his third save of the season with two perfect innings, striking out three. De La Torre, a sophomore right-hander out of Mar Vista High, has a 1.89 ERA in 13 appearances this season. Grossmont (14-1 PCAC, 19-6-1) holds a 1 1/2-game lead over the second place Comets, although both teams have just one loss. The Griffins have won four straight and 16 of their last 18, including one tie. Mesa, an early contender in the conference chase, has fallen to 7-5 in conference and 12-14 overall.